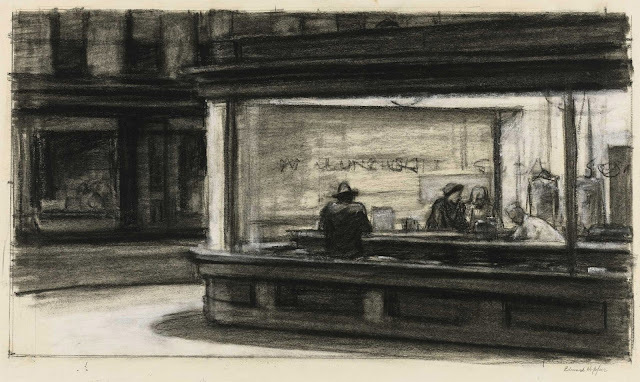 Edward Hopper - 'Nighthawks', 1942 (The Art Institute of Chicago). 'Study for Nighthawks' by Edward Hopper, 1941 or 1942 (Whitney Museum of American Art). 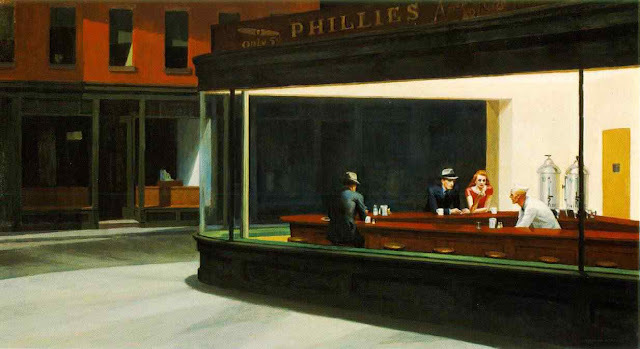 When I lived in Chicago, I would go to the Art Institute many times on Tuesdays. Curiously, the museum had a rather large collection of paperweights. Actually, it was climate shock going from California to Chicago. It was a relief coming back. How they got 7 million people to live in that winter weather, I'll never figure out. I did enjoy the experience, but I can see how living in a place where you don't have to battle the elements can increase your productivity.